Robyn Thompson, the “Rehab Queen”, is the nation’s leading expert on buying properties at deep discounts, renovating them at lightning speed and selling them quickly for huge chunks of cash. Robyn has rehabbed over 320 properties in her 15 years of investing and actually rehabbed 51 houses in single year. She takes her business very serious and runs it like a fine tuned money machine and not a hobby. Larry Harbolt, the “King of Creative Financing”, has been buying and selling real estate for over 30 years, has completed over 400 seller finance deals and is the nation’s leading creative seller financing expert as well as a popular national real estate speaker and trainer whose time-tested strategies and nuts and bolts teaching style has helped thousands of aspiring real estate entrepreneurs realize their financial dreams with little or no money and without the need for credit. Robyn and Larry are teaming up and coming to back to Atlanta for full day workshop called The Wealth Blue Print to a Millionaire Mind on Saturday, August 18th, 2012 at 8:30 AM at the Crowne Plaza Ravinia Hotel located at 4355 Ashford Dunwoody Road in Atlanta, GA. As an Early Registration Special, this Workshop is being offered to Atlanta REIA Gold Members for $24.95, Silver Members for $34.95 and Guests for $69.95. These prices are good for two people limited to spouses, children, partners & significant others. Early Registration Expired on August 15th, 2012 at Midnight. Special Offer for Guests: If you would like to join Atlanta REIA this, we have a very special offer for you. If you join Atlanta REIA as a Silver or Gold Member starting for as low as $100/year, you and a guest can attend the Wealth Blueprint Workshop for FREE. Click here to learn more about membership and/or to Join Atlanta REIA Now! When you purchase your membership online, be sure to indicate you want to attend the workshop at no additional charge so that we can get you registered. PLEASE NOTE: Once this Early Registration Special Expires, tuition will increase to $34.95 for Gold Members, $49.95 for Silver Members & $99.95 for Guests per person. So, Register Now to save big time and have the ability to bring a second person at no additional charge. Don’t miss this very special offer to learn from two of the best minds in real estate investing! Early Registration Expired on August 15th, 2012 at Midnight. 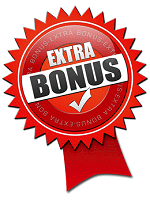 SPECIAL BONUSES for 1st 100 People to Register! Larry Harbolt is also throwing in a CD called “The Fast Path to Cash” (another $99 value) which will teach you how to find seller financed properties regardless of your cash or credit. Register for the workshop now to reserve your free copy of these bonuses valued at $396 since supplies are limited and this event will sell out! She will cover her cutting edge strategies on making quick cash in the short term (your flippers) as well as the most profitable properties to hold to build long term wealth (your keepers). She will be walking you through real life examples of houses she has bought and teach you her 7 steps to property evaluation so you can buy winners and eliminate the losers. Come and join the Robyn and Larry in Atlanta once more on Saturday, August 18th, 2012 for The Wealth Blue Print to a Millionaire Mind Workshop where they will share all their secrets on how to run your investing business like a business and not just a hobby. You will learn new systems, strategies and techniques on how grow your business and your bank account by working smarter and not harder and longer. Robyn and Larry are going to pull back the curtain and show you their millionaire mindset strategies to catapult your business in a hurry. You’re not going to want to miss this power packed day with two of the greatest millionaire minds in real estate investing. We look forward to seeing you at this great event on August 18th in Atlanta! The Wealth Blue Print to a Millionaire Mind Workshop Flyer with Robyn Thompson and Larry Harbolt. I attended the workshop “The Wealth Blue Print to a Millionaire Mind” on August 18, 2012. I was told before I left that the other 2 CDs will be available online. Please let me know how can I retrieve it and where to find it on the website. Thanks for your kind and immediate response.